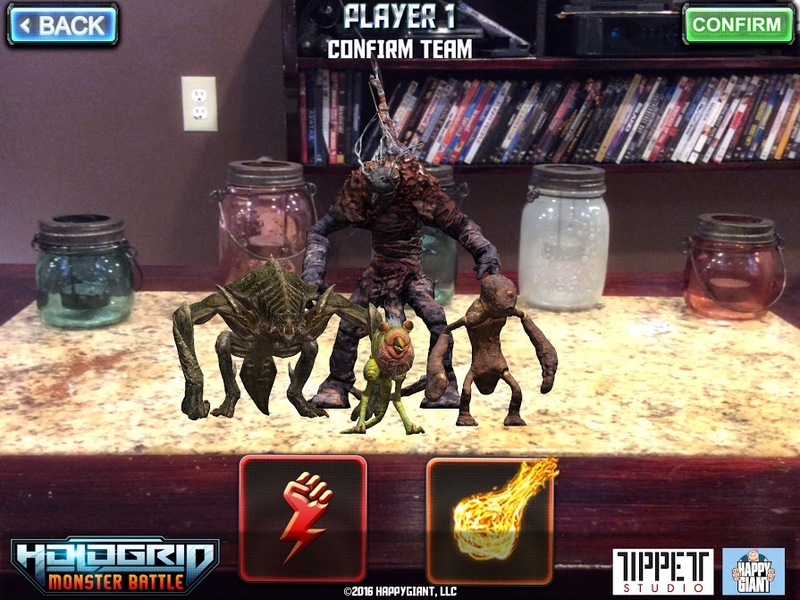 HoloGrid: A Few Days Left to Get This AR Card Game Funded | "DESTROY ALL FANBOYS!" A legendary idea brought to life by it’s original creator! 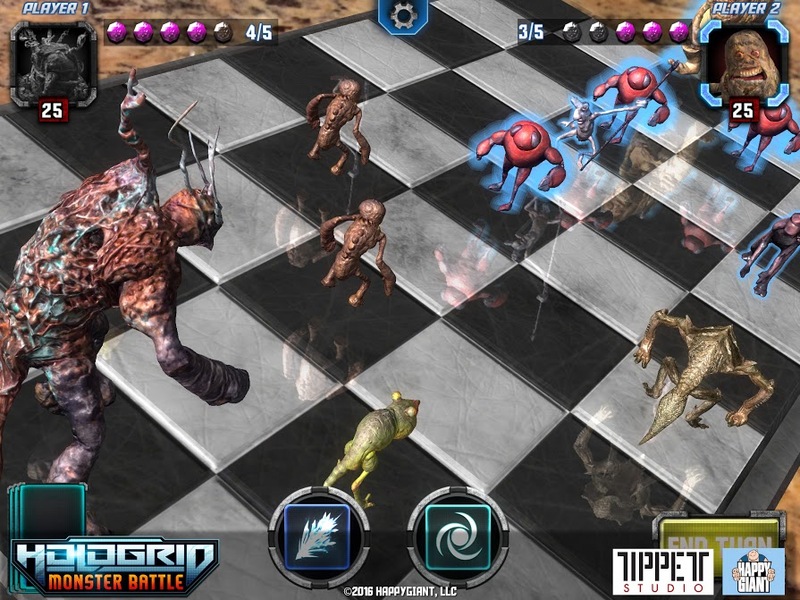 Everyone remembers that classic HoloChess scene in Star Wars, but we live in an amazing time where now can bring that experience to life using AR, and you don’t need super expensive hardware to do it, just your Android or iOS device! Online and Local Multiplayer now in the game! This was originally going to be a stretch goal but the team has found a way to make it happen! As long as the team makes their goal, MP will be in the game! The business plan behind this game is simple. Make a game that people can buy, they own the whole game and can play it forever. As new characters are developed they can to go their local tabletop gaming store, pick up new card packs, scan them into the game and expand their team selections. Seeing these creatures come to life on your table is an experience that can’t be captured on video. And because the team used photogrammetry to scan in the actual physical models created by Phil they are much more detailed and have a look and feel unlike any other game. The game won “Best Tech of PAXEAST 2016” from MMOGames and Geek.com called it “groundbreaking, uniquely immersive and downright awesome!”, saying it left the biggest impression of any game at PAXEAST this year. 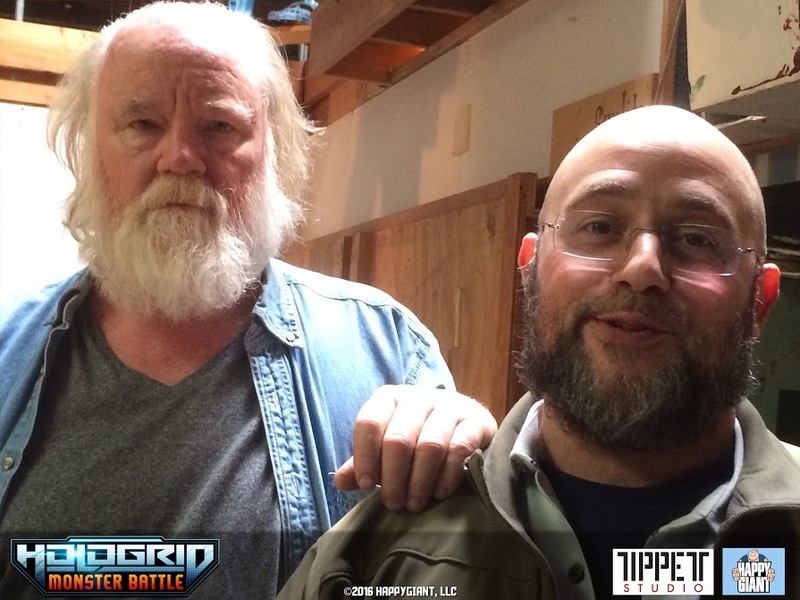 The team behind the game development was founded by veterans of LucasArts, ILM, Hasbro and Pileated Pictures. They have worked on and released legendary games over the years and have the track record to deliver a fantastic, engaging product. A boxed version of the game will only set you back $25 plus $8 for shipping, a steal when you consider the nearly endless possibilities for the future if those licenses noted above become a reality. The only thing this needs is a way for PC gamers to join the fun. But let’s get Phil his latest dream first before getting on that particular case. 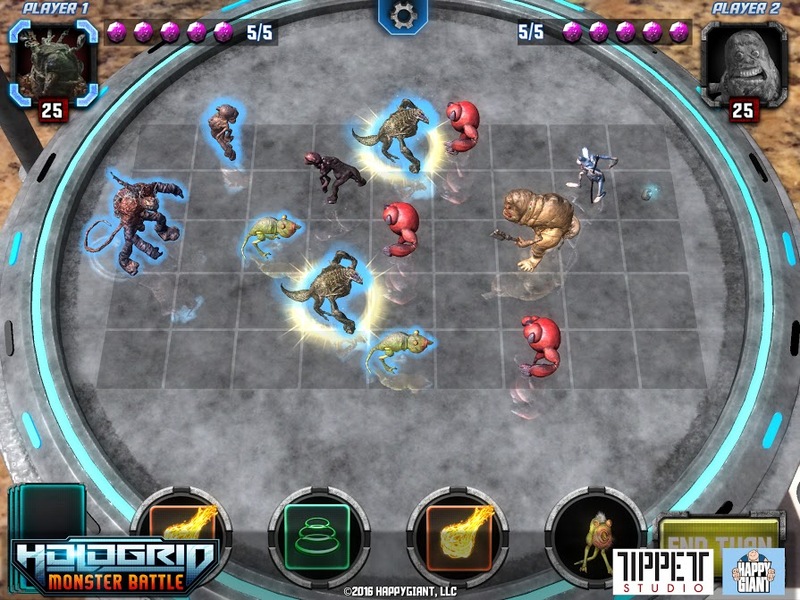 This entry was posted in 2016, Commentary, DAF, Features, Humor, Updates and tagged AR, Augmented Reality, Board Games, Card Games, Coming Soon, Digital Games, Games, Gifts, HappyGiant, HoloGrid, HoloGrid: Monster Battle, In Development, Indie Games, Mobile Games, Online Games, Phil Tippett, Tippett Studio, VGA 101, Videogame Appreciation 101, Virtual Reality, VR by geelw. Bookmark the permalink.